The new Transit has fresh engines and a 10-speed transmission on tap, along with a brand new all-wheel-drive system. Year, Make and Model: 2020 Ford Transit. 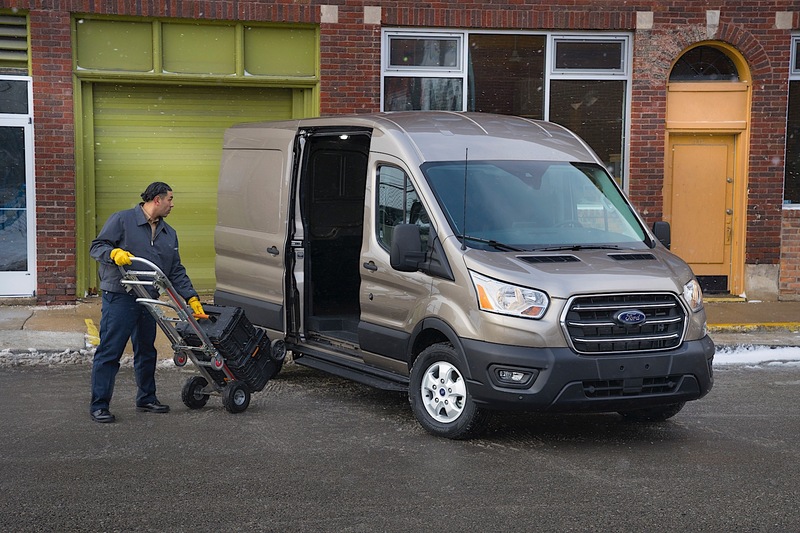 Topline: Ford modernizes its full-size Transit van courtesy of new engines and the brand’s 10-speed transmission, along with available all-wheel drive which removes the competitive advantage that the Mercedes-Benz Sprinter had in this segment. 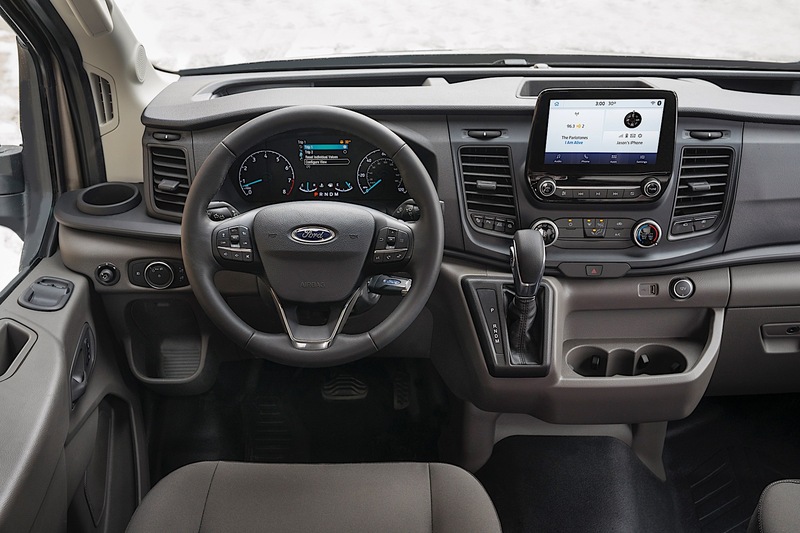 What's New: The 2020 Ford Transit is updated to include advanced driver's assist technologies. Standard is autonomous emergency braking with pedestrian detection, and buyers can option up advanced features like blind spot monitoring and adaptive cruise control. Two new engines debut with the Transit, including a base 3.5-liter V-6 engine and a 2.0-liter EcoBlue bi-turbo I-4 diesel. The 3.5-liter EcoBoost returns for 2020 as a top-tier engine. All 2020 Transit models get Ford's 10-speed automatic transmission. What to Know: The advanced safety and technology features bring parity to the smaller Transit Connect. The optional all-wheel-drive system isn't a four-wheel setup like in the Sprinter, but is rather an always-on system ready to pounce at the first sign of lost traction. 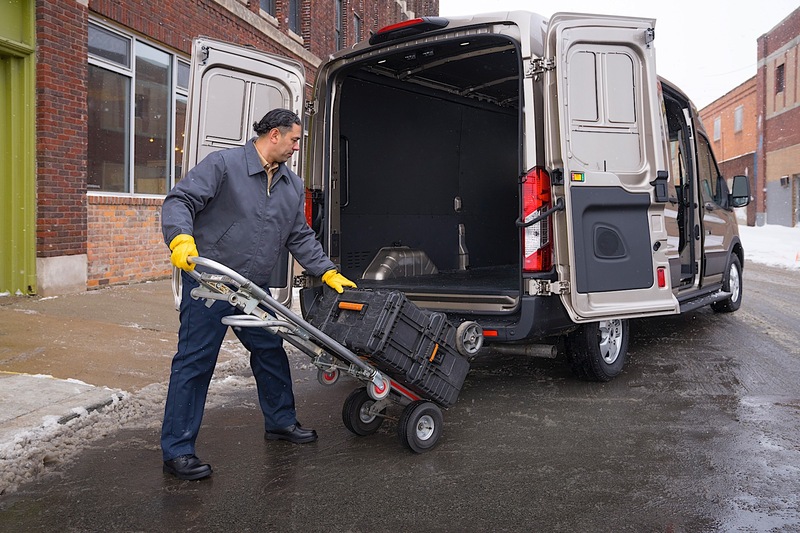 The all-wheel-drive system doesn't take away from any interior cargo volume and it also doesn't raise the floor of the vane, so it's still easy to get in and out of. The 2.0-liter EcoBlue diesel is interesting because it's the first time we've seen this engine in the United States. While the company hasn't listed performance metrics, the diesel should split the difference nicely with the capability and fuel economy. It's the one we're most looking forward to driving. The 2020 Transit takes everything we liked about the previous van and then modernizes it. It should still be as easy to drive and now even safer. The van will ship this fall to Ford's 3,000 dealerships, including 675 dedicated Commercial Vehicle Centers. The van will be available in cargo and passenger versions. Pricing is not yet available. This 'Drift Bus' is the BMW V-8-powered delivery vehicle of your dreams. But it doesn't deliver packages—it delivers smiles. Four agencies across the U.S. will receive purpose-built vehicles to aid their relief efforts.